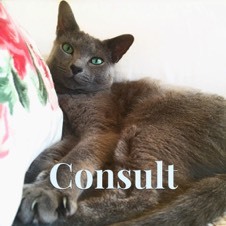 II have stopped taking cases temporarily, for another animal communicator you can contact Claudia van Dort http://www.dierenkunnenpraten.nl. I want as little information as possible, except what I ask for below. Don't worry if you forget some questions while filling in this form, we can add those questions during our first conversation. A good clear picture of your animal is also very important to me. Make sure there are no people or other animals in this picture. All questions with a * are mandatory, but if it’s not important for this consult you can write that down in the text field otherwise the form will not be send. Please fill out the appropriate information below if you have chosen the Skype or FaceTime option. Number of years people had the animal. Where did the family get the animal?